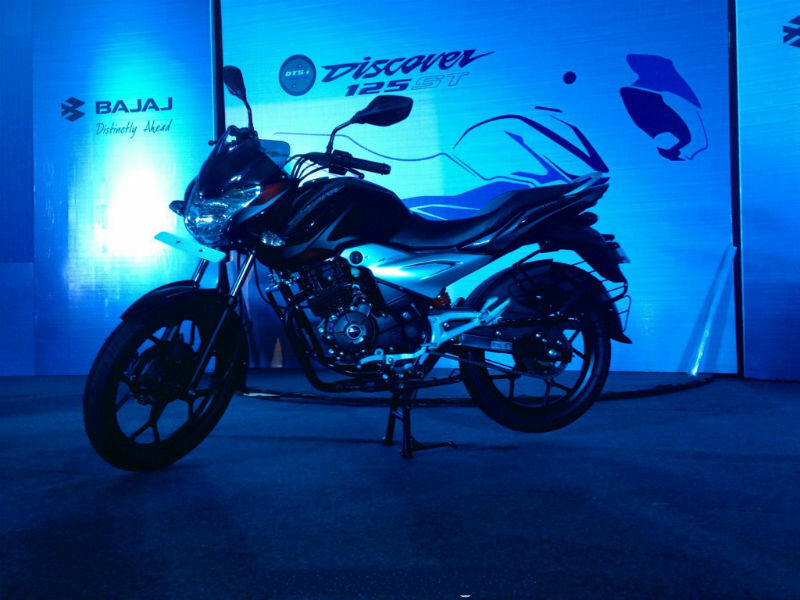 Bajaj is ready to roll out its upgraded model of Discover into the market. It has come with an idea of combining long distance commuter's needs with sporty looks and characteristics of the bike. The result is 'Discover 125 ST' where ST stands for Sports Tourer. The bike couples the fuel efficient properties of its trademarked DTSi engine with high power output of the engine. 13 bhp the maximum power delivered from this bike's engine is high for a 125 cc segment bike. The newly designed black alloy wheels, silver coated muffler tip, comfortable riding position with raised and ergonomic handle bar and a wide seat, nitrox mono suspension at rear, stylish tank design with increased fuel carrying capacity compared to previous 125 cc discover model are all some of the notable features of this bike. Sports touring bikes is new topic to Indian market. All though there are bikes in the market that have some features closely related to sports touring models, the launch of Bajaj Discover 125 ST may be an inception to an era that brings many competitors releasing bikes of sports touring concept. 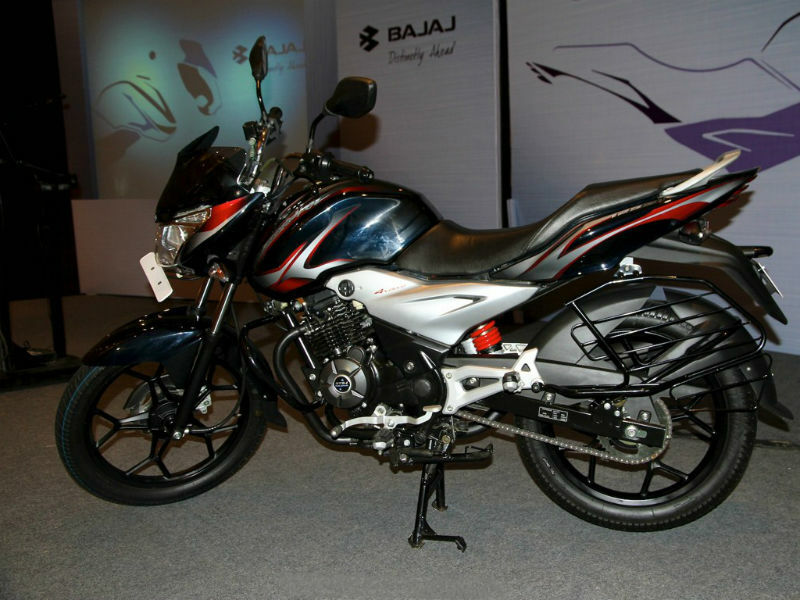 The 124.6 cc engine mounted on the frame of Bajaj Discover 125 ST is a four stroke single cylinder engine that uses two valves for the inlet and two valves for the exhaust. The Digital Twin Spark ignition system uses capacitor discharge ignition to fire the charge. The engine is air cooled and one of the competitive edges of this bike is the 13 bhp power the bike can deliver at 9000 rpm. This high power for a 125 cc engine is responsible for the top end speed of the bike striking a maximum of 105 km/hr. The maximum torque produced by this engine is 11 Nm and it is attained at 7000 rpm. So the gear ratios would play a major role in initial pick up of the bike. But with a high power engine the bike could hit high speeds on a longer distance ride. The head lamp of the bike is given sharp front with the jaws that widen towards the visor. The tank is designed to be slightly big with a small bulge towards front lower end of the tank. With the graphics the tank adds extra points to the sporty look. The silver coated side cover and rear footrest mount is given a dynamic design. The exhaust is coated black and has chrome plated exhaust cover. The wide seat supported by a monoshock suspension at rear gives better comfort to the commuters. 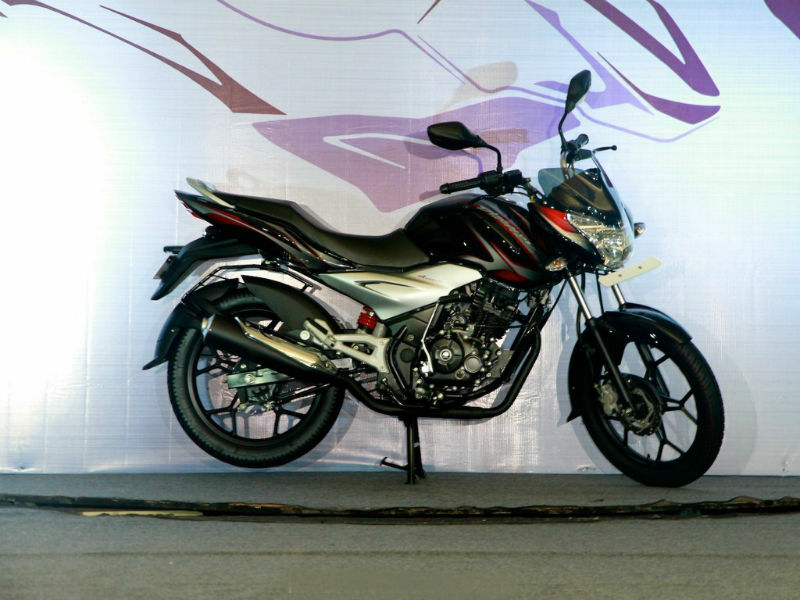 The 125 cc engine's power is transmitted to the wheels through 5 speed transmission. The power unit is assembled on a semi double cradle frame which minimizes transfer of vibration from this unit to the rider. The front wheel is supported by a telescopic fork and the rear end it is supported by nitrox monoshock suspension. This suspension uses a gas which is mixture of nitrogen and oxygen to absorb energy released from shocks and damps the vibrations of the mono spring. The 200 mm petal disc on the front makes way for efficient braking because of its heat dissipation property. The tires are designed with speed rating of 150 km/hr. The bike has a 10 litre fuel tank which makes it suitable for traveling longer distances. All the features mentioned above with a light weight body combine to give a good riding experience with better performance and better control of the bike. The 125 cc high power output bike can run approximately 60 to 70 kms per litre of fuel. This mileage may vary with individual's riding style and road condition. The bike may cost around Rs 55,000 to 60,000 and this pricing would depend on the geographic location of purchase.